For those of you who play Magic, a big reveal in the last few days. Now colorless is, essentially, a new color in magic. 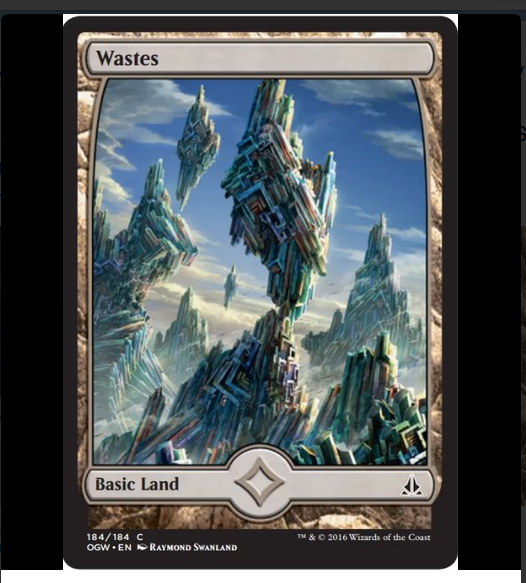 This Basic Land, Wastes, produces colorless mana. Colorless mana is not the same as Generic Mana. Generic is mana of any of the five colors and the new colorless. 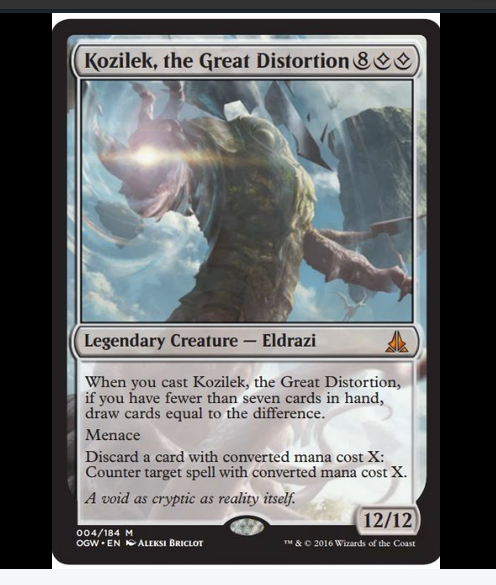 So you can play Kozilek by paying 8 of any color (or no color) and two colorless (10 total mana). There is a nice FAQ on reddit about this.